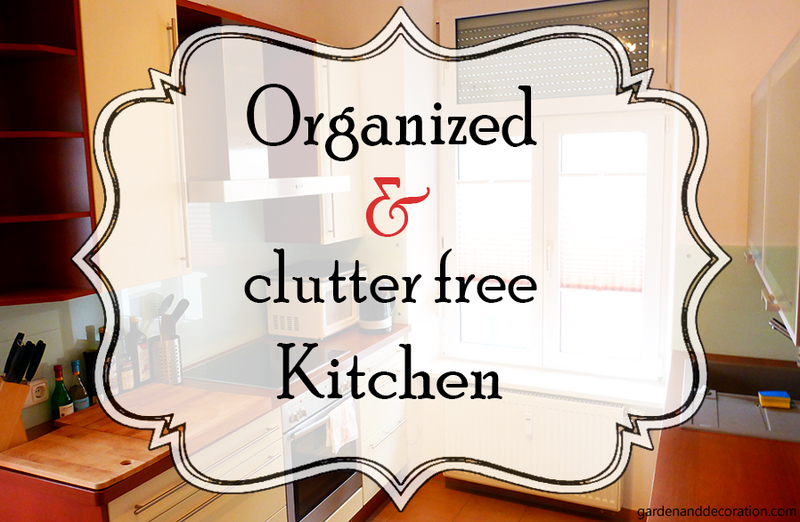 Home > Tried & Tested > How to organize and keep a kitchen clutter free? Well, over the last couple of days I have tried to clean up the kitchen and to organize it better. 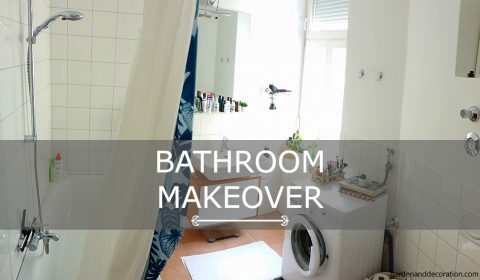 I used just what I had around and made some small changes. 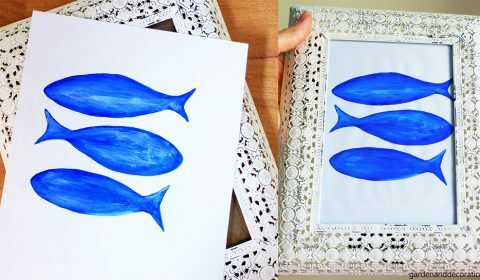 This are my ideas which you might like to try them out, too 🙂 . I keep my keys in the kitchen, because it´s the last room I enter before I leave the house. Therefore, it is a routine for me to keep the keys there. 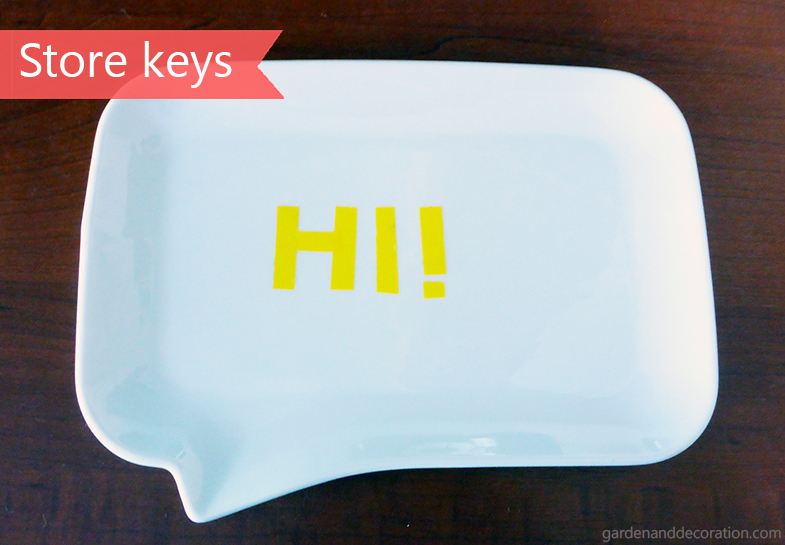 I used a small flat bowl (in a shape of a speech balloon) and on the inside I “wrot” HI! with tiny strype of yellow washi tape. 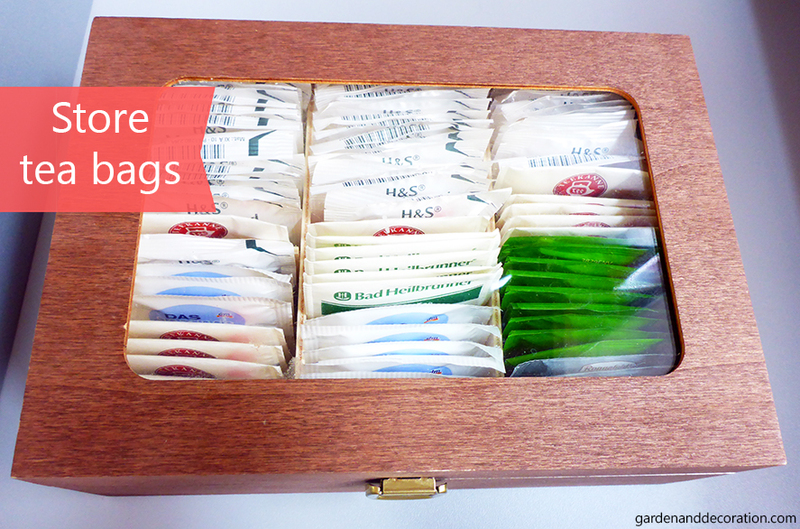 To store all the tea bags, I use this cool box. It has a glass window on the top side so you can see through (similar one found on amazon). 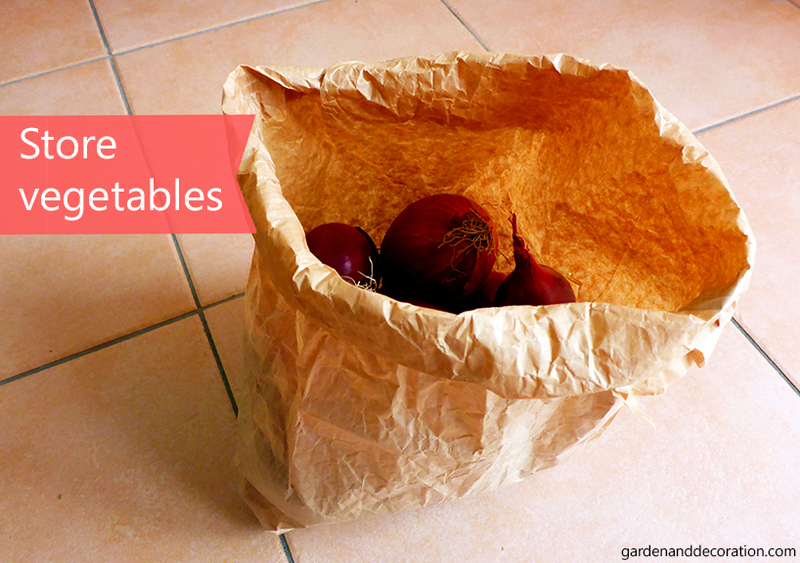 For storing vegetables which don´t need to be kept in the fridge, I took some brown paper bags and put onions and potatoes inside. I keep them all together in the “vegetable” drawer. 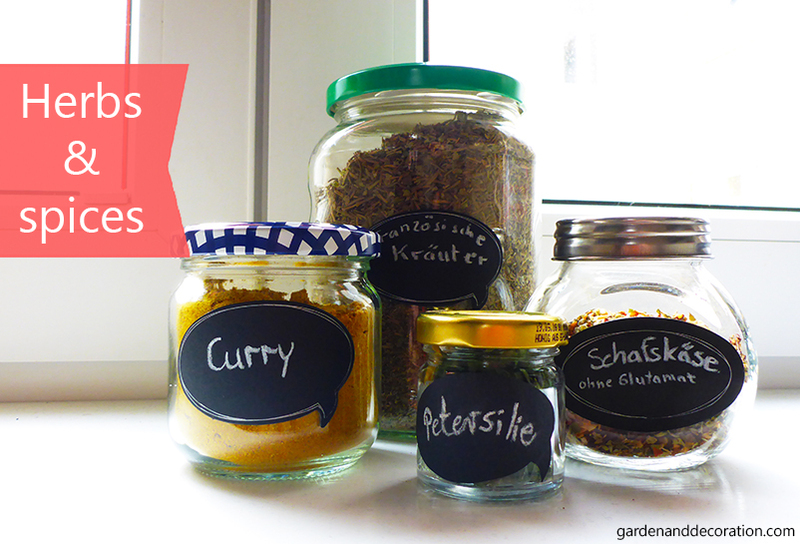 To store my herbs and spices I used empty jars in different sizes and labeled them (also in the shape of speech balloons). For those labels I used black wall decal (similar one on amazon) and wrote on them what´s inside with a white chalk. 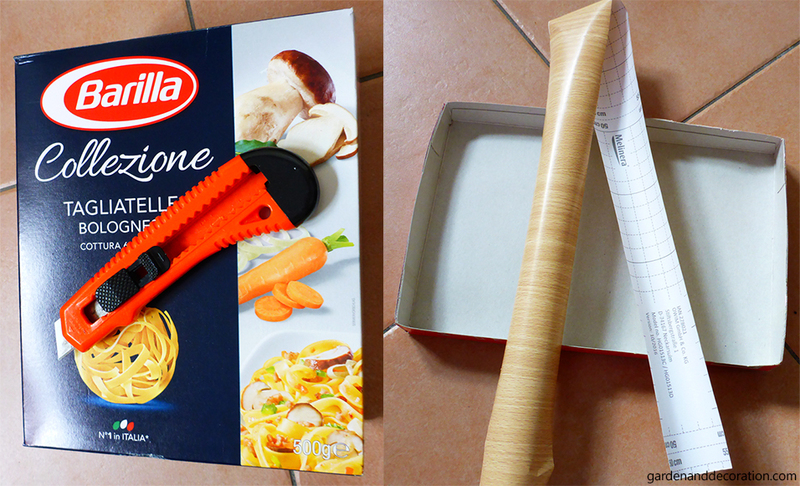 To store the long spaghetti, I used a long jar with a lid and put this inside the cupboard which is above the stove. It´s the right place for such groceries (e.g. flour, rice, sugar, spices), because you have them in your range when cooking. 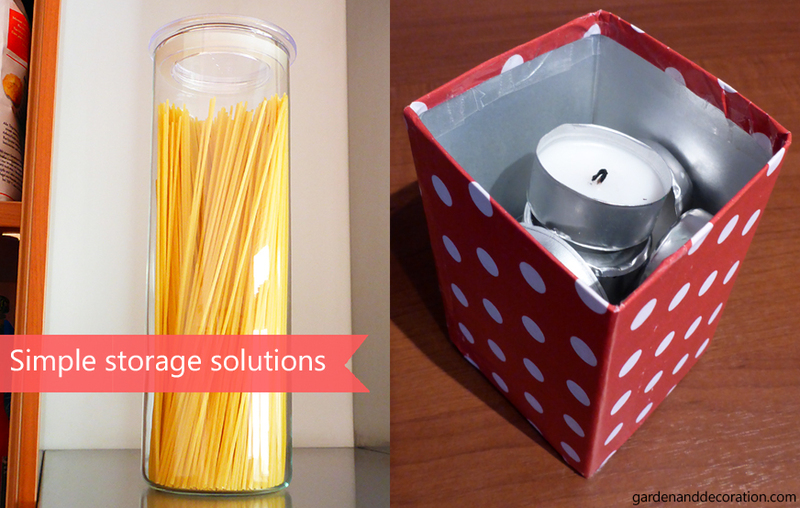 The other idea for storing tealights is a simple one: I used an empty juice box for creating it. To hide the outside of the box I just used a wrapping paper and stuck the ends on the top side with Sellotape. 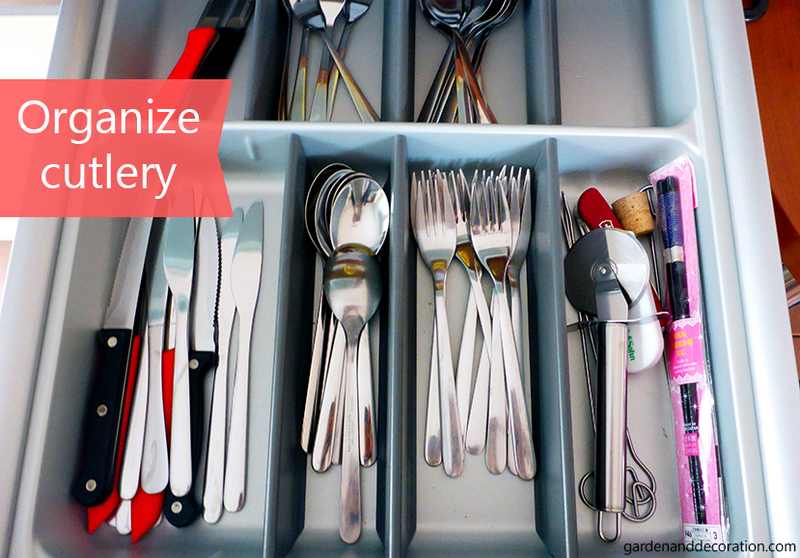 The best place to keep your cleaning utensils is a small cabinet. Inside you can install some handy gadgets which will keep your stuff organized. You can look for such helpers in your local hardware store. 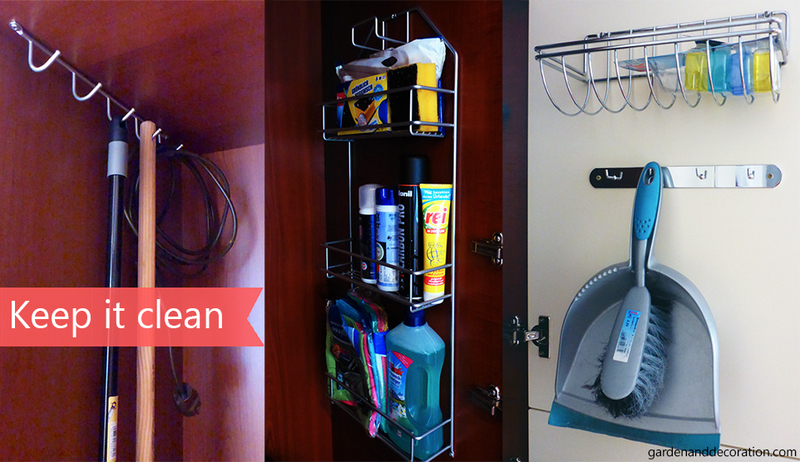 I find it also very practical to keep the cleaning stuff together depending on their usage. For instance, everything to clean the floor, for cleaning the dishes or for the laundry. If you don´t have a cabinet build in your kitchen unit, you can use the place under your kitchen sink. 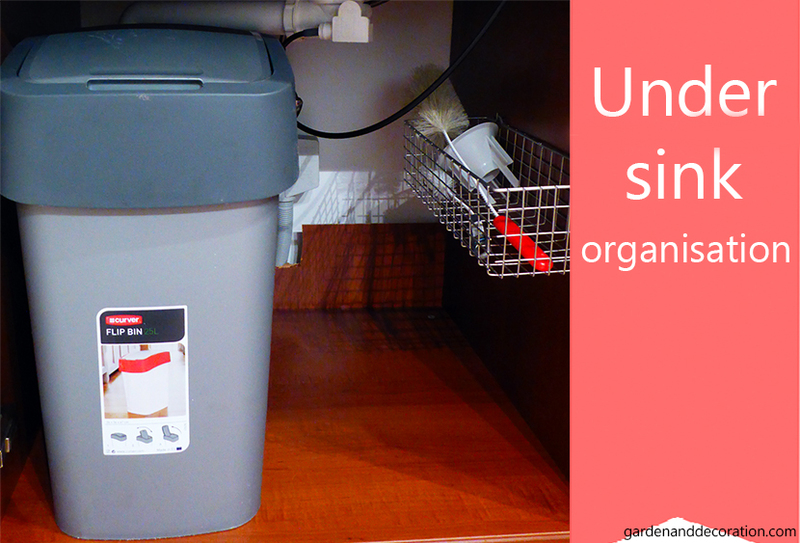 There might be enough space to keep a wastebin and also some cleaning products. I found the small metal basket very handy, because I can store small items in it. 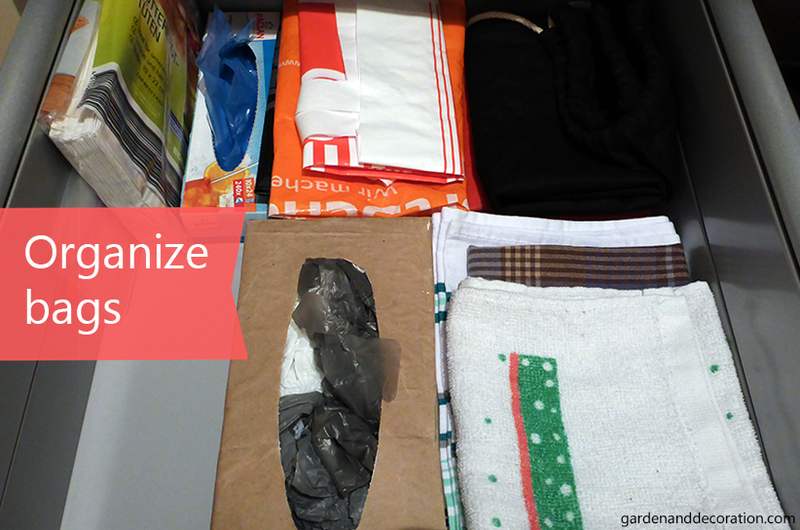 For organizing the lots of bags I have I used a whole drawer. 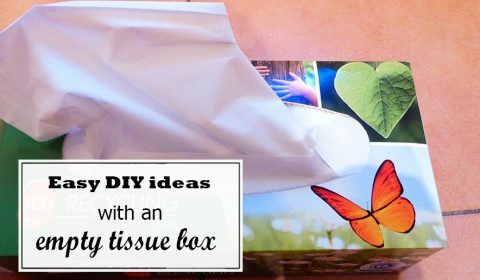 I came up with an idea to store the small plastic bags (you get from grocery shopping) by using an empty tissue box. And there is also some space for the kitchen towels. Or, make some drawer dewiders out of cardboard. 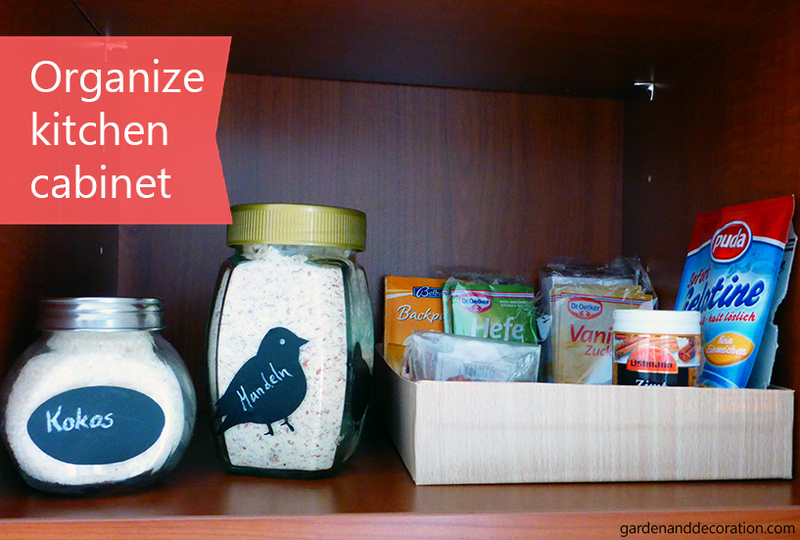 To keep the inside of your kitchen cabinets also organized you have to come up with a system. My is: The stuff I need the most in the kitchen are beeing kept at the bottom part. The less I use them the higher I put them. Also, the things for baking I keep together. And stuff for cooking are also kept together. It makes it easier for me, to know where I put my stuff. 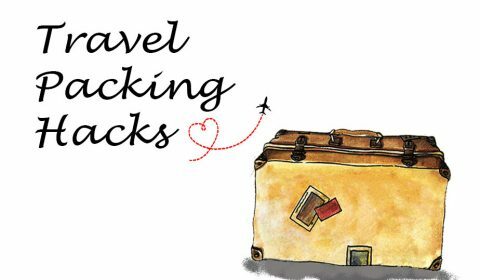 I am a huge fan of labels :D. For my baking stuff I used the same black wall decal like for the herbs and spices (I mentioned above). For keeping all the small baking stuff together I made a small tray out of an empty packaging. And to hide the outside of the box I used wall decal with a wood look (similar found on amazon). Due to the fact that I have a lot of cooking magazines, I also wanted to keep all of them in place. 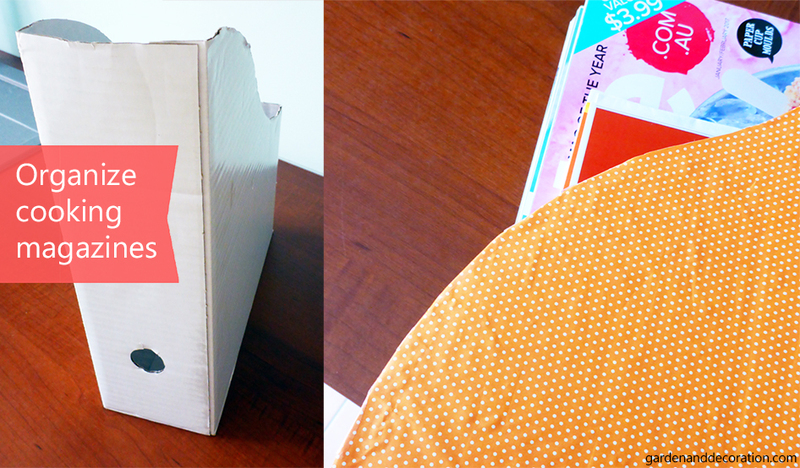 Therefore, I used a paper magazine file (bought from ikea) and covered it up with a wrapping paper. (It looked too boring, just in white 😉 ). So, which one of these ideas do you use? Or do you have some other ideas? 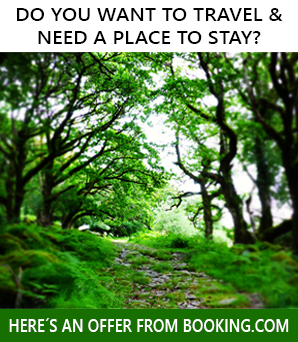 Please leave me a comment below. Next Post How to clean wooden furniture?